I can’t believe I am still writing posts about Bob’s Under The Sea Party! We have had a Trolls party since then but I am so behind! My New Year’s Resolution should be to try harder. We had lots of lovely craft activities. I have already written about the Jiggly Jellyfish and the Seashell Wands and I will tell you about the Flounder Balloons soon. 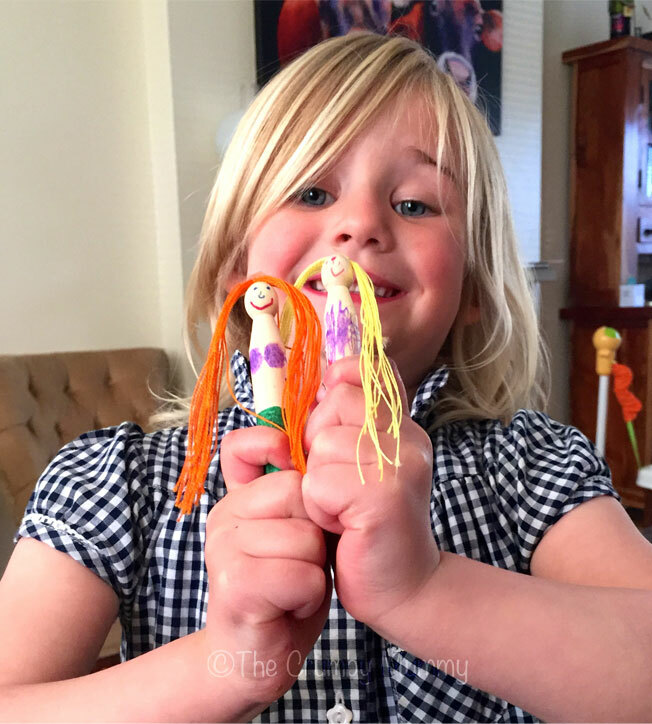 We also made Peg Doll Mermaids and CD Turtles. 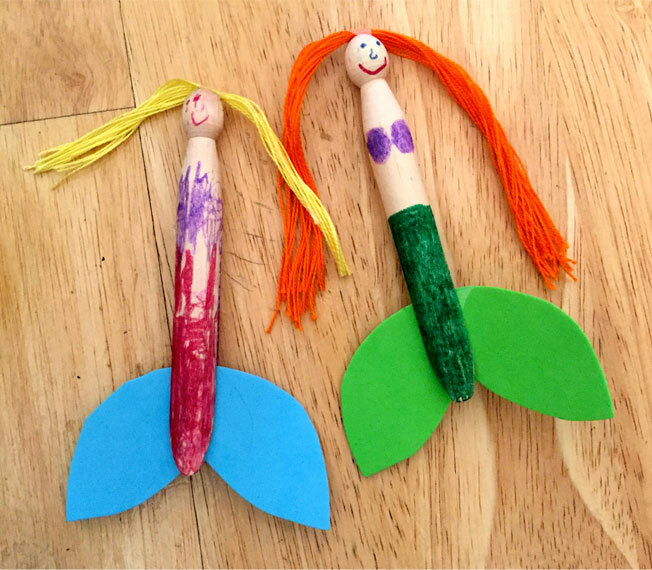 The Peg Doll Mermaids were easy to make and Bob enjoyed trying out the activity before her party. 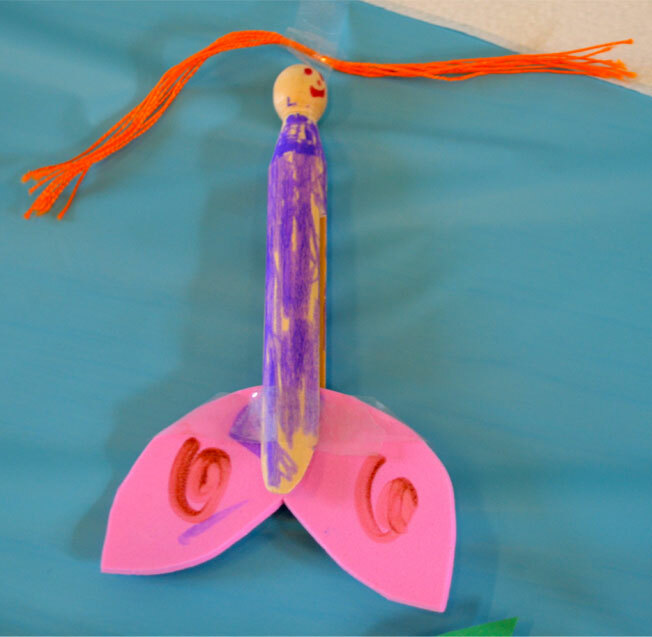 We coloured the pegs in, drew a smiley face and the attached some hair and a craft foam tail. They were simple yet effective. 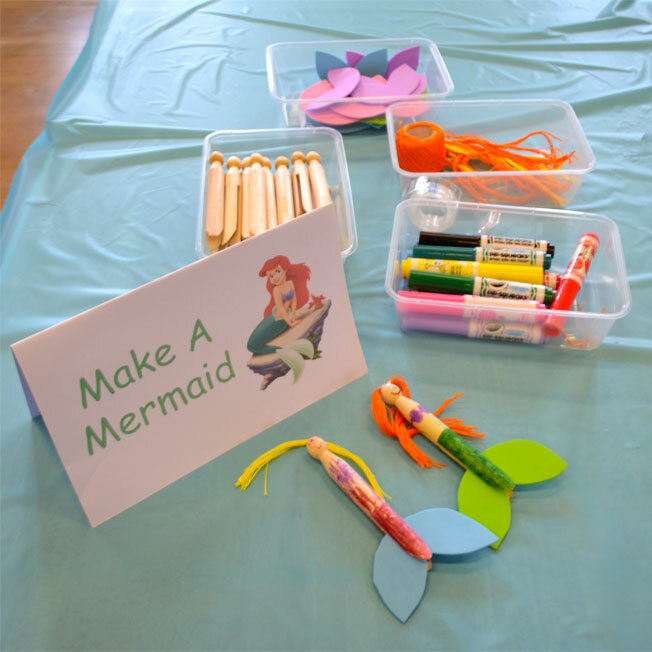 We used our Mermaids as examples at the party and the children couldn’t wait to try making them. There were some lovely dolls designed. They even went one step further and decorated their fins. The C.D. Turtles were fun to make too. I bought a pack of blank C.D.s and pre cut the heads and legs out of green card. 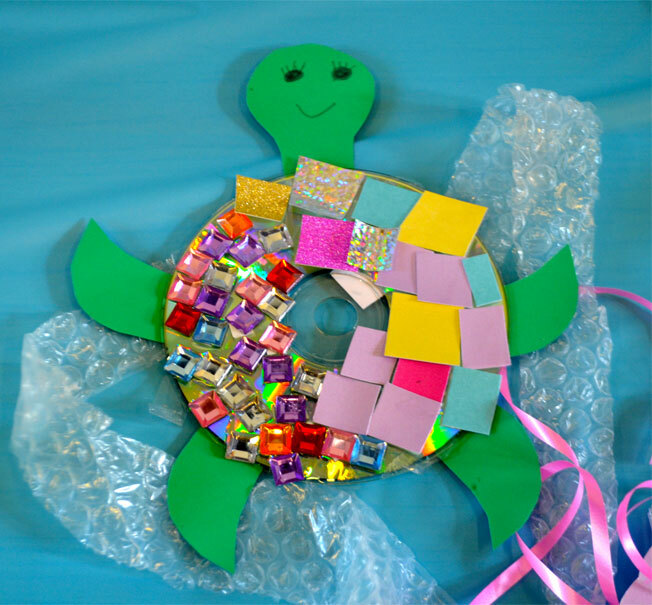 I then provided some collage squares and gems for the children to decorate their shells with. Again, Bob and I made examples to show the children how to put them together. 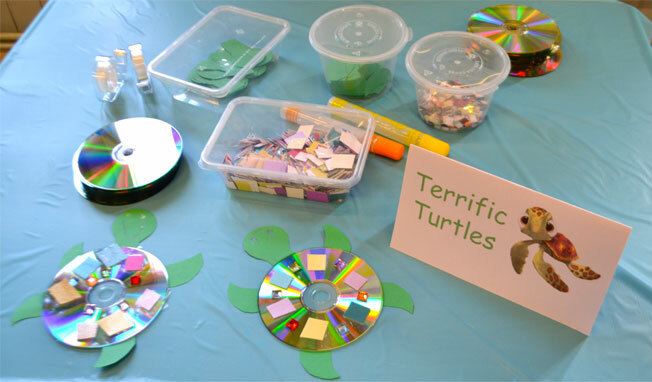 Everyone loved this activity and there were some very fancy turtles swimming about! I so want an invite to your parties!